Artists on Art is a weekly radio interview show that centers around artists, their philosophies and practice while creating digital portraits and archive of the guests. Artist on Art became a LLC in 2011 with the mission to help artists express themselves via various forms of multi-media such as video and photography. Here’s a great video by Kirby Scudder that shows Nada talking about Artists on Art. 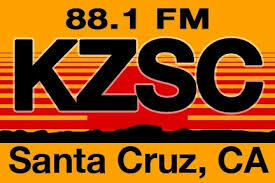 Join us for the weekly radio show, Artists on Art, on KZSC 88.1 FM, Wednesdays at noon. Founded by Nada Miljkovic, a radio-activist artist researching and exploring new media forms that inspire understanding and tolerance across diverse cultures. Nada is continually exploring new technologies and developing new forms of cinematic and performative experiences in the virtual and physical realm. She works in digital video and net-art, radio, and performance. Nada began her blogging and website career (with video and audio podcasts) in 2007 during her studies for a Masters in Art in Digital Arts and New Media at UCSC with the DANMite blog, the Art Technology and Culture Colloquium and her own miljkovic.org websites. The radio show, Artists on Art, began in January 2009 with the help of a Research Assistant Grant through the DANM program for Nada Miljkovic. She is motivated to bring the voices of artists to non-artist people and make art more accessible to everyone. Nada began working in film and radio in the early 90s, writing screenplays, interviewing people on the radio, and making movies while collaborating with San Francisco Bay artists. She recently provided video content for the Tandy Beal and Company’s newest theater production Here After Here. Nada is currently working on an interactive performance and video piece, Balkan Song , that searches for identity through musical traditions and inspires the participants to reflect upon gender and agency, and the Sad Song Project. In July 0f 2011, Nada and her long-time supporter, champion and older sister, Kuma Boba (aka Barbara Slobodanka Miljkovic), started a new company entitled Artist on Art whose mission is to create a space for people to express themselves and tell their stories. For more information, check out the Artists on Art and The Sad Song Project Gathering, Facebook Pages.